- Providing a virtual environment which mirrors that within a typical race team to simplify the task of lifing. 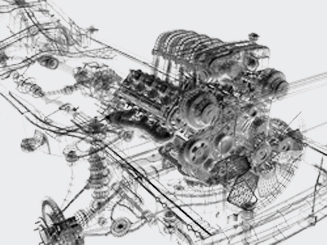 Easily build a virtual race car – assemblies, sub-assemblies and individual components can be built and combined to produce a complete chassis using simple right-click and drag and drop functionality. Configurable, Colour-Coded displays – display the data you need in each individual screen and then export it as required to Microsoft Excel or PDF. See at a glance exactly which components are running low on life from their colour coding. - Chassis Templates allow quick and easy building of your race car in a way which is instantly recognisable to users, reducing training needs and allowing changes to the car build to be quickly and easily applied within LifeCheck. Chassis Templates define exactly which parts should be placed on the chassis prior to going racing and allow users to see at a glance whether the current chassis build matches the template. This increases the reliability of the system by ensuring that all parts which were on the race car are on the chassis build within LifeCheck. Chassis Templates also highlight where components are missing from the chassis and where additional components are on the chassis when compared to the template. Flexible swap functionality allows changes to the race car made between sessions to be quickly and accurately reflected within LifeCheck to ensure the integrity of the system. Customisable Build Sheets generated from the Chassis Template can be easily distributed to the race engineers to ensure that the correct components are put onto the chassis before each session using a layout which is familiar to the engineer. - Not all components are lifed solely on the distance they have travelled while on the race car. LifeCheck includes multiple independent mechanisms by which components may be lifed. Expiration Dates – Some safety critical components such as seat belts and fire bottles have expiration dates after which they should be discarded. LifeCheck supports expiration dates for lifed and non-lifed components alike. Calibrations – Some components are lifed according to an arbitrary value such as degrees of twist, activations or thickness. A worn out brake disc is out of life when worn to its minimum thickness irrespective of the distance it has covered. LifeCheck allows arbitrary calibration values and limits to be defined for any component. Split race and test limits – Once a component has reached its race limit it can still be used for testing up to the test limit defined. - Chassis, session and component history means you can drill down from displaying the sessions run by a chassis to view the components on the chassis in each session to the history of a single component within the session. LifeCheck records full details as to which components were used on which chassis for each session run by the chassis. Drill down functions allow you to start with the history of a chassis as a whole and then focus in on a single instance of a component. Each component also maintains its own history including not only the sessions in which the component was on a chassis but also when the component was serviced or if its life limits have been changed. Date stamped notes for each component allow additional comments to be recorded together with links to external documents such as purchase orders and service sheets. Combined, these facilities allow the full life cycle of each and every component within LifeCheck to be maintained within a single system. - Ever increasing costs and budget caps underline the importance of getting the most out of your component stock. LifeCheck helps you maximise use of each and every one of the components defined within the database by making each individually traceable. Damaging an assembly no longer means discarding all components within the assembly – now their life can be tracked independent of the assembly and they can be moved freely between assemblies in the safe knowledge that all mileage for specific components will be accurately recorded irrespective of which assembly they are part of. Split Race and Test limits for components extend their useful life as components deemed out of life for racing purposes may still be useful for testing purposes. - Lifing is only part of the challenge – many components require scheduled maintenance throughout their life to maintain optimum performance and reliability. LifeCheck’s service intervals provide easy management of component servicing as well as additional user defined routine checks such as Crack or Proof Tests to be defined, each with independent intervals. Checks may be reset after being carried out at which time the distance to the next check will count down as life is added to the component. Full history functions ensure that services and other checks are recorded as they are performed for all components. - Your lifing data is critical to the safety and performance of the race car but to be of any use it must be easily accessible in a variety of forms. LifeCheck makes it easy to access this critical data using a combination of in-built reporting and the ability to export data in a variety of formats including to Microsoft Excel and Adobe Acrobat. 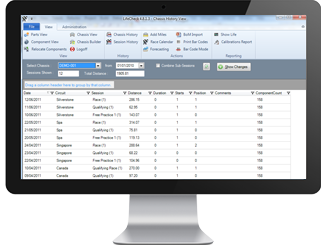 The Show Life screen allows fully customisable reports to be generated, saved and printed. 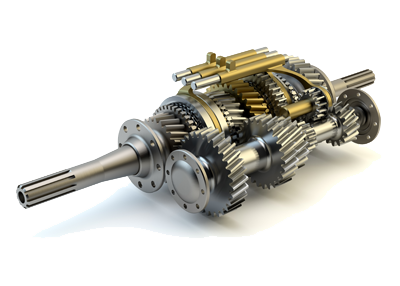 Flexible filtering allows you to focus on the data of interest whether that be reporting on the life remaining for your gearbox components, displaying a list of all components which need to be serviced or identifying components which will be out of life by the end of the next event. LifeCheck is powerful enough to satisfy your reporting needs and provides the facilities to export any data in a variety of Industry standard formats such as to Microsoft Excel. - LifeCheck works with users connecting to a central database. But what happens if that database is not accessible while out at a race? No problem, LifeCheck’s Link and Detach function allows working with data offline. 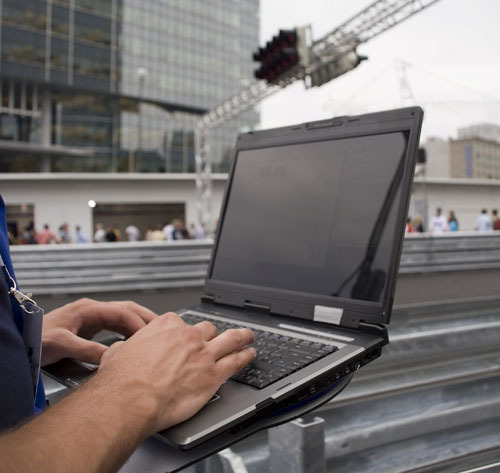 Where the necessary infrastructure is not in place to allow remote connections back to the factory server alternate methods of working are supported to allow users to view critical lifing data in order to make the correct decisions about the build of the race car. Link and Detach mode means that your users can take their lifing data with them if out on the road or at the track side. Changes they make while detached are recorded and then synchronised with the main database on their return. In addition, users who remain at the factory still have full access to their lifing data meaning that everyone remains productive. Tagging of components using 1 or 2D barcodes or RFID tags is becoming more feasible, along with increasing advantages of using such a system to reduce inaccuracies. LifeCheck supports the use of 1D and 2D barcodes as well as RFID tags to both uniquely identify components within the system and to perform certain system functions such as creating new components within the database, re-locating a component or servicing a component. Barcodes can either be allocated on a sequential basis allowing you to define an individual barcode string for each component or can contain a part number and life code embedded within the barcode. LifeCheck also enables association of additional information with components either by attaching external documents such as service sheets or inspection reports. This ensures that all aspects of the life of the component can be captured and included within LifeCheck. LifeCheck can export data in a variety of formats including Microsoft Excel and Adobe PDF. LifeCheck allows parts to be defined which do not have life values. 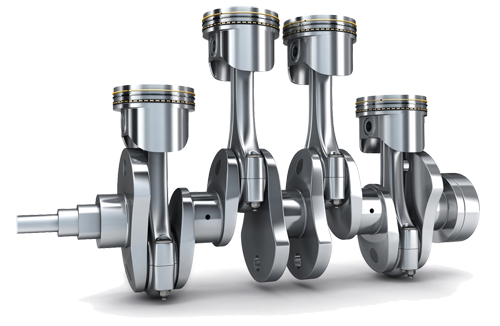 These may be used to define notional assemblies such as 'Front Suspension' or 'Engine Installation' which act simply as place holders beneath which other lifed (and non-lifed) assemblies and components may be located. 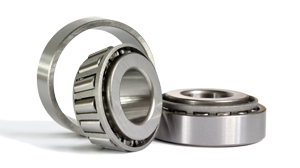 Alternatively, non-lifed part support allows components which although not lifed, are located on the chassis and their use should be logged. 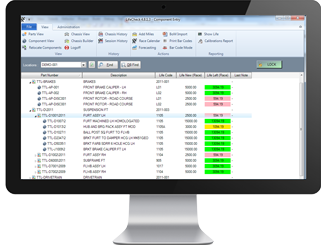 When used in conjunction with the Inventory Functions this option allows LifeCheck to perform as a Stock Control system. Provides a read-only interface to the LifeCheck database for users who need to be able to view lifing information but not necessarily modify this data. 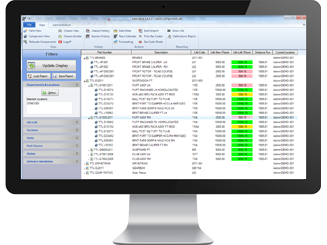 Many of the main screens/functions of LifeCheck are duplicated within the Web Interface providing greater access to lifing data for the whole organisation. 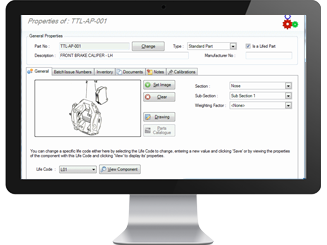 This option allows for additional stock level and purchasing data to be maintained for parts. The Inventory functions allow multi-level triggers to be defined to warn of impending shortages and to allow for re-ordering of stock as levels reach pre-defined points. 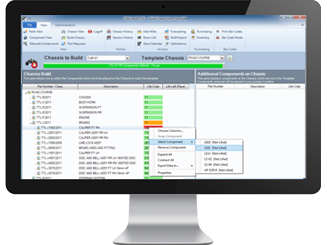 The Purchasing module provides full facilities for producing and maintaining purchase orders including the ability to define custom templates when printing purchase orders, functionality to allow for receiving of stock including split receiving and the creation of Goods Received Notes (GRN), again with the option of custom templates for printing. This option enables the Race Calendar within LifeCheck. The Race Calendar has two primary functions. The first is to allow you to keep track of significant events within your season which can subsequently be used to determine circuits etc. when you add distance to a chassis. The primary use of the race calendar is however to allow more accurate forecasting for the lifing of your components. By pre-defining the events in which you will compete, giving estimates of the expected distance covered during practice, qualifying and race sessions, LifeCheck V4 can determine when you are most likely to need to re-order new components to ensure that there are no shortages. A number of Web APIs are available to allow third party developers to integrate LIfeCheck with their own applications. For example, the create component API function could be integrated by a ERP system to automatically create components in LifeCheck, negating the need to manually enter them.